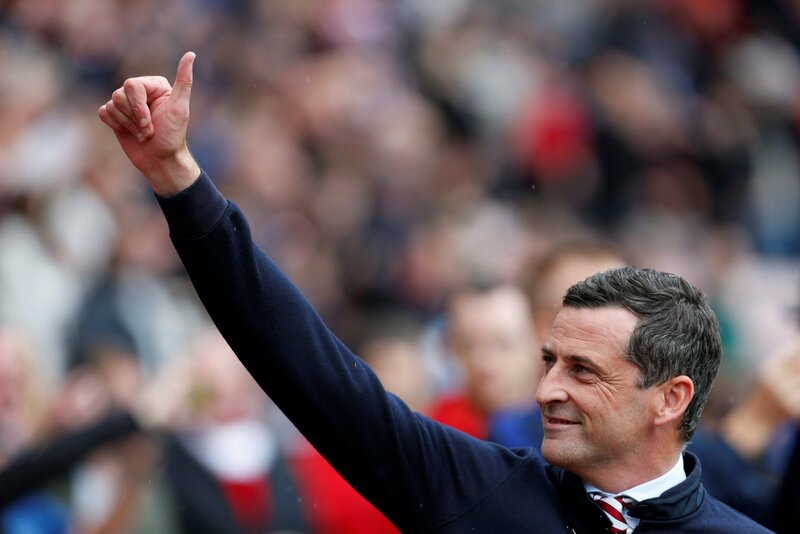 Jack Ross has urged all of his players to make good use of the international break this weekend as they face a frantic April fixture pile-up. The Black Cats are not on duty this weekend due to their international commitments, but after that they have a Wembley final and nine League One matches in just 32 days. It promises to be a pivotal period in the club’s history as they look to bounce back out of League One, as well as lift some silverware and Ross knows his players have got to be mentally and physically prepared to do battle. “This is the last opportunity to get any period of rest into the players because there’s no doubt that (the April period) is going to be tough for us as a club,” he told the Chronicle Live. The former St Mirren boss revealed the message he has passed on to his players as they prepare for the EFL Trophy final in twelve days time. Sunderland are set to meet Portsmouth in the final, with over 80,000 fans expected to pack Wembley Stadium in the best-attended fixture the maligned competition has ever seen. Ross is right, his players have to enjoy the next twelve days. After that, they’re going to either become legends on Wearside, or berated nearly-men with a play-off assault to negotiate. They’ve got the squad depth to get through the fixtures, but do they have the mental strength?